In addition to Music/Art/Culture, there are many other enriching offerings for members of the church, including Contemplative Practice, Adult Religious Explorations, Small Group Ministry, and Community/Fellowship. An event featuring live music from local performers is held in the Sanctuary on the third Saturday evening of the month. The mission of the Coffee House is to have high quality music, open our doors to the wider community, to build community both within and outside our walls and, most importantly, to have fun! 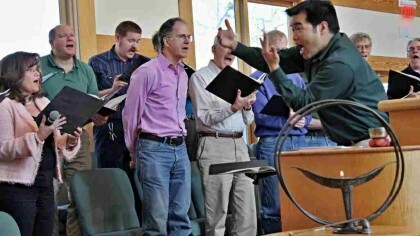 The UUMAN Chalice Choir is a four-part choir that sings regularly for UUMAN’s Sunday worship services. Director Alex Pietsch welcomes all those who enjoy singing, regardless of background or training. The choir practices on Wednesday evenings at 7:15 and Sunday mornings before the service. 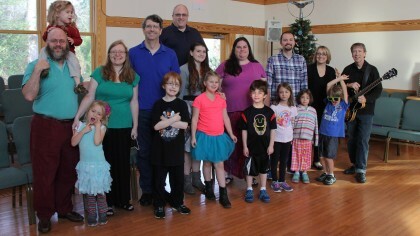 Family choir is a multigenerational group that rehearses and sings in service on a semi- regular basis. Rehearsals are held 9:45-10:15 downstairs in Fellowship Hall and a schedule of rehearsal dates is sent monthly via email and in the order of service. 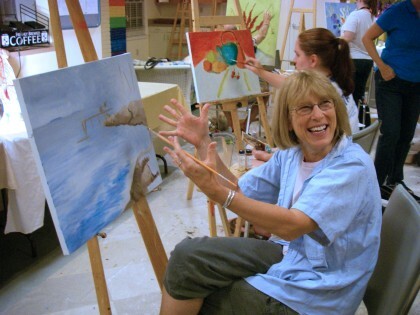 Learn to paint in a relaxed atmosphere (with a glass of red wine if desired) on Wednesday nights from 7:00 PM to 9:30 PM in Fellowship Hall. A portion of the fee goes to UUMAN.